The RIT Orchestra, in conjunction with Professor Thomas Warfield, the RIT/NTID Dance Company, and the School of Interactive Gaming and Media, will present a new multimedia performance, "Melodies Unheard," in honor of Dr. Robert Panara, RIT's first deaf professor and founder of the NTID Drama Club. The production will showcase scenes inspired by Panara's poetry and the RIT Orchestra will perform mostly new pieces, including an orchestra and African drum ensemble composed by RIT Professor of Performing Arts, Dr. Carl Atkins. 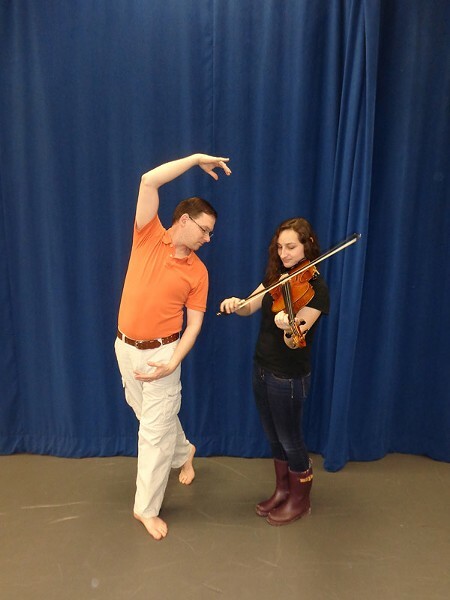 RIT student and orchestra violist Justine Maeurer will also perform. Show times include Thursday-Saturday, May 1-3, 7:30-10 p.m. and Sunday, May 4, 2-5 p.m. Performances are at the Robert F. Panara Theatre in the LBJ Building at RIT (52 Lomb Memorial Drive). Tickets are $5 for full-time students and senior citizens, and $7 for others. Tickets can be bought at the NTID Box Office Monday-Friday from 10 a.m.-4 p.m. and one hour before curtain. Reservations can be made by calling 475-6254 or emailing ntidtix@rit.edu. For more information, visit www.ntid.rit.edu.